Update 2016: West Indies Cafe has closed. 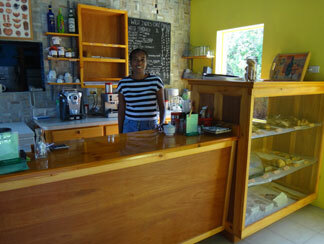 Owner, Suzan has re-opened her cafe at Koal Keel. It is known as Village Bakehouse. More on Village Bakehouse here. Say "au revoir" to Bonjour Cafe and "bonjour" to West Indies Cafe & French Bakery! You'll still find Suzan as your lovely and gracious hostess. You'll still find her friendly and skilled crew behind the scenes, the great breakfast and lunch hours and you'll still find popular daily lunch specials. Now that I've set your mind at ease, let's look at what else is new. With the new location comes a sharp and brand new building, a more convenient location and an expanded menu complete with more pastries baked on site. And here's something you don't read very often... Some of the menu prices have gone down. You read correctly! Some of the menu items have been lowered in price. How wonderful is that? As the rent went down, the owner was happy to pass those savings on to her customers. Grand! 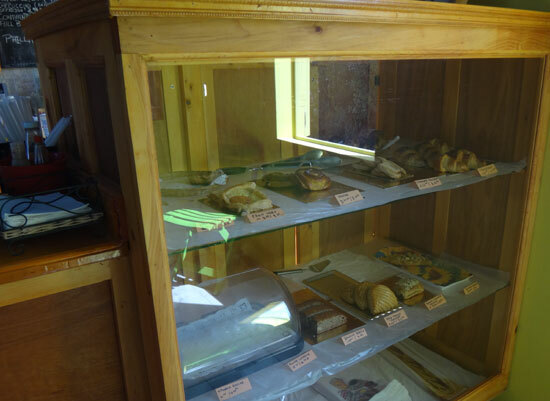 The menu is roughly the same but now includes the addition of French bakery sandwiches and pastries. 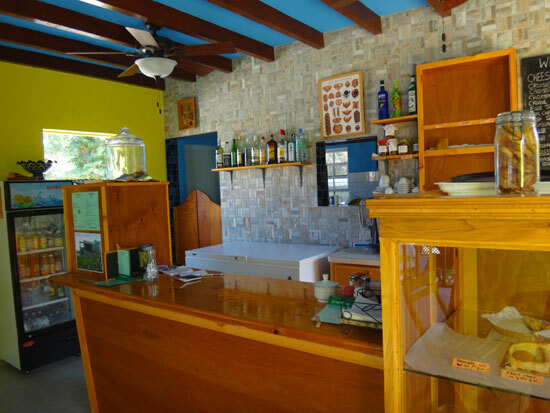 Remaining favorites like the croque monsieur, accras (fritters), tapenade, Angus burger and the ever popular Friday roti special. New breakfast sandwiches include croissant sandwiches with your choices of egg, cheese and ham. 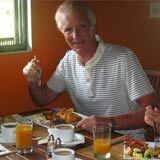 Continental and full breakfasts are now served too. 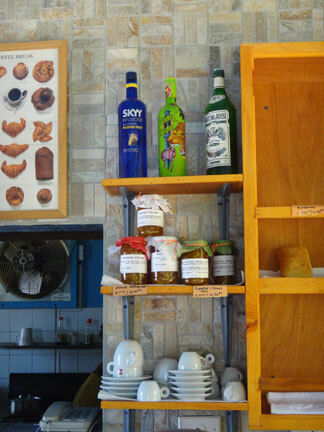 Breakfast items are available all day and pastries are first come first served. If pastries are your priority I recommend arriving to the cafe earlier rather than later. New sandwiches include a club, tuna, fish and cheese. 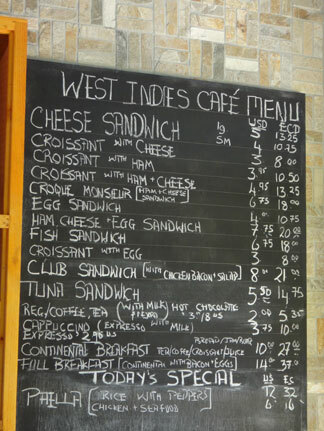 West Indies Cafe has range of specials and one is offered almost each day of the week. Generally they are as follows: Baked Chicken Parmesan on Mondays, Pasta Carbonara on Tuesdays, Paella on Wednesdays and Rotis on Fridays. Be sure to arrive on the early side of lunch if your heart is set on a daily special, especially on Fridays. 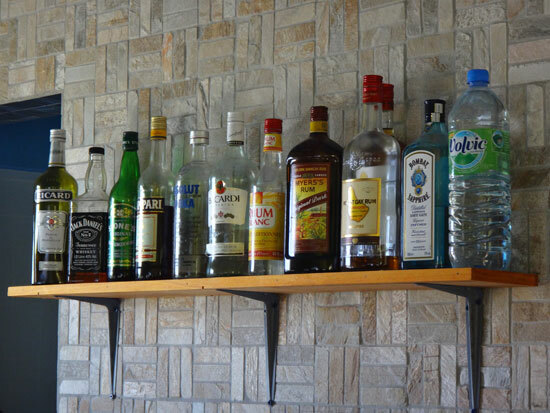 Drinks range from juices and sodas to liquor, wine, tea and coffee. A wider variety of French bakery style pastries are now being made. 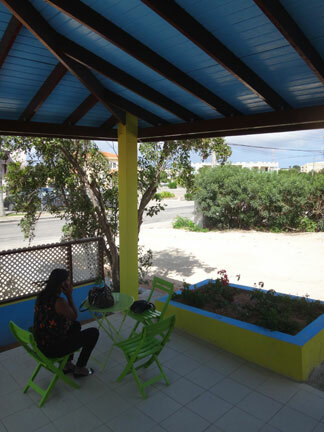 The day I visited Suzan to see her new place, she immediately and proudly offered me a palmier as we chatted. It was delicate and delicious. Looking for something to melt in your mouth? Try the palmier! 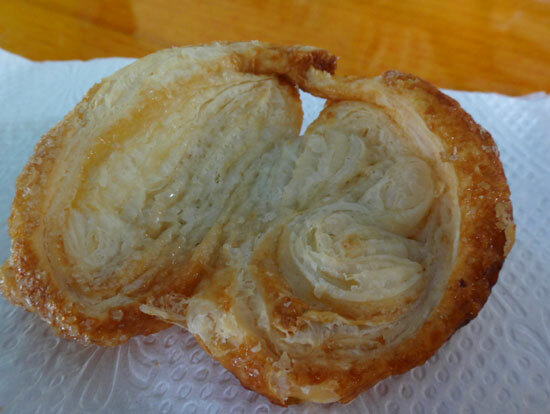 A palmier and a coffee are a perfect combination for a light breakfast. 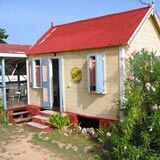 And, West Indies Cafe offers one of my favorite coffee brands - Illy. 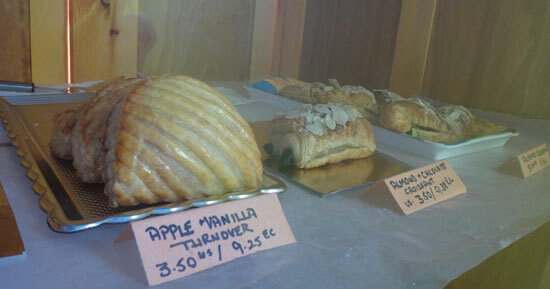 Croissants of all sorts, turnovers, tarts, danishes and even banana bread are now fresh and ready for you. The difficulty lies in deciding. Your next and final decision is where are you going to sit, inside or out? 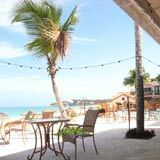 With the luxury of a Caribbean open-air climate, you can't go wrong either way. Both options show the exposed, vibrant blue pitched roof accented with dark wood beams. Outside is covered and inside allows for tempted gazes at the pastry case. 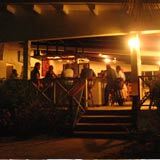 After brief consideration, all choices to make at this Anguilla eatery are not easy but all rewarding. 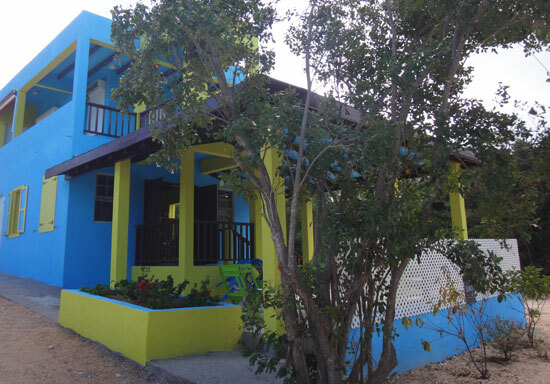 Directions: The West Indies Cafe & French Bakery is on a side street in Anguilla's most trafficked area - The Valley. If you turn at the Department of Labour off of the main road in They Valley (across from LIME and the post office) and travel straight (which is westerly), you'll see the bright new building on the left. Parking is off of the road and immediately next to the building. Hours: Monday - Friday, 7:30am to 3pm and Saturdays from 7:30am until 2pm.